My wife and I both have Mac’s at home and because I help her a lot with her photography business, we are constantly sharing files with each other. So, instead of emailing them to each other back and forth, there is an easier way to do this. 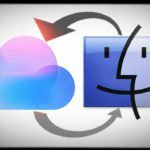 You can set up your Macs so that you can access files and other documents over your home network. 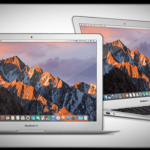 The first thing you want to do is make sure that both Macs, or however many Macs that you want to share between, are connected to your home network. Basically, what that means is that every computer in your house, should be connected to the same wireless router. 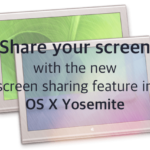 Then, you are going to want to go to System Preferences and click on Sharing. Next, you will be taken to a screen where you will decide what you want to share with others and who you want to share with. As you can see from the picture below, if I want to be able to share my files with another person on my network, then I would click on “File Sharing”. Then you would want to select what exactly you want to share. So in the case of my wife and I, we really need to share the photography business files, so she made a file called “Photography” and she shares it with me so we both can access it. The next column is Users. This is where you get to designate who and what they can do to the folders you are going to share. If you want to share with specific people make sure you just put those users. If you don’t mind sharing with anyone that has access to your network you can choose everyone. Then, you are going to want to choose what they can do. You have three choices, they can Read Only, meaning they can see what is in the folders, but not make any chances to it. The second choice is “Read and Write”. This means that they can open the file and make changes to it. And then the final choice is “No Access”. Which, you probably wouldn’t use, unless you want to make sure that a certain someone doesn’t get into a certain file of yours. You can choose to set a password for each person that can access the shared folder as well. Just make sure you tell that person the password. 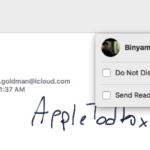 Once you are done customizing this screen, you have now successfully created a shared folder from your Mac. If someone in your house wants to access this folder, there is an address that starts with “afp”, as you can see in the picture above. 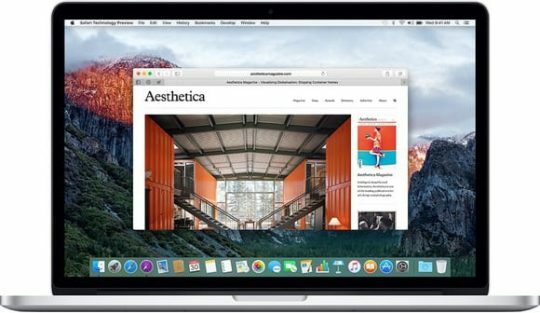 Type this address into your Safari browser. This will then grant you access to the shared folder. And that is it. 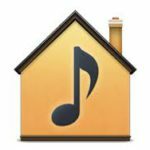 You now are able to share documents and other items with other people in your house. This comes in very handy and I am sure you will find it useful as well. Same as Chris above, I just think LogMeIn works a lot smoother. I, and many others on the Internet, have experienced continual connection failures with file sharing under Mac OS X Lion. My file sharing settings under Snow Leopard worked flawlessly. 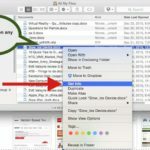 It appears that under Lion the shared folder cannot be a user folder. When I deleted the user folder from the shared folder list and replaced it with the computer “folder”, I was able to once again connect. I’ve never been able to get BTMM to work but I use LogMeIn Ignition to access my Macs from my iPad.